Knowledgeable and Dedicated: Specializing in Software, Web Site and Database Design. 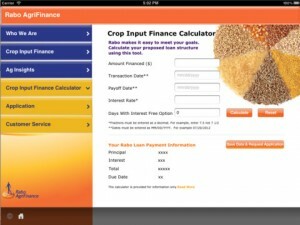 The Rabo Agri Fianance ipad app was designed for Rabobank International to help input manufacturers, ag retailers and producers and is available free for download from itunes. Over many years of serving our clients we have followed a methodology which allows us to consistently produce superior quality software, consulting, and web services. Our main goal is first to understand our clients needs, second to produce a detailed plan to achieve those needs, and lastly to go above and beyond in the delivery of our services. This process keeps our clients coming back to us year after year. If you would like to see how we set ourselves apart from other technology consulting firms please contact us about your business needs. 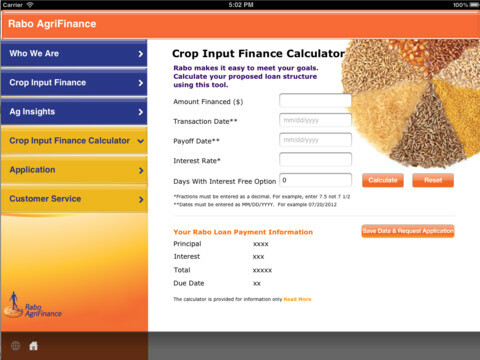 The web applications we design are an important part of almost every business model in today’s marketplace. We offer services from simple web hosting to creation of fully integrated web applications as well as mobile app development. If you have any questions regarding our services, you may contact us by filling out this form and we’ll get back to you when we have reviewed your request.